My friend found this at a thrift store. Anybody has some background story on it? Williams conducted three albums for Previn. 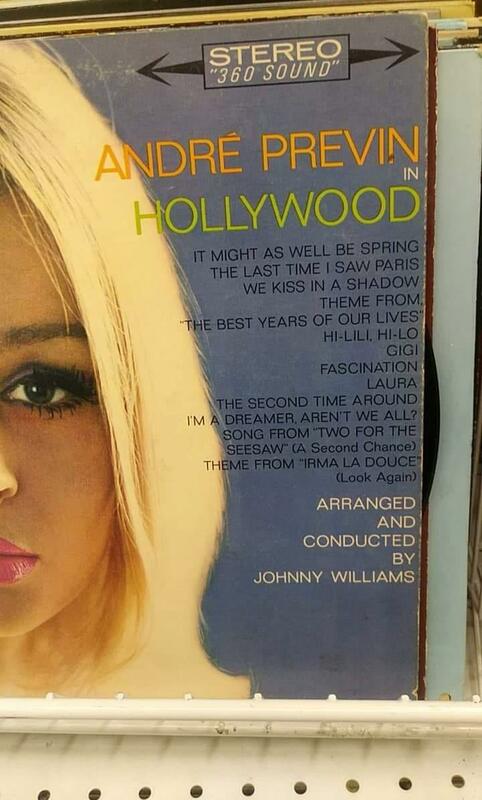 The first one, from 1962 on RCA Records, "Young Hollywood Composers", even has some Williams music. In 1963 and 64 came out "André Previn In Hollywood" and "Soundstage", both on CBS. The later one was re-released in the 70's under the title "The Jazz Piano of Andre Previn". The CBS albums were released on the Vocalion label a few years ago though it seems they are out of print. Had no idea Sony had released "André Previn in Hollywood" on CD. I only have YOUNG HOLLYWOOD COMPOSERS (because it has Williams music). Never heard the others, but would be interested to hear. Tracklist and credits for the latter, from Discogs. 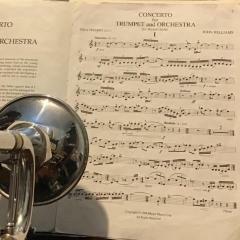 There's seems to be one JW composition and one arrangement. Yes, the latter is a fine album (although my copy has a lot of pops and crackles). "Tuesday's Theme" never appeared in the film proper (BACHELOR FLAT), but was released as a sort of 'inspired by' single later (inspired by Tuesday Weld's character in the film). 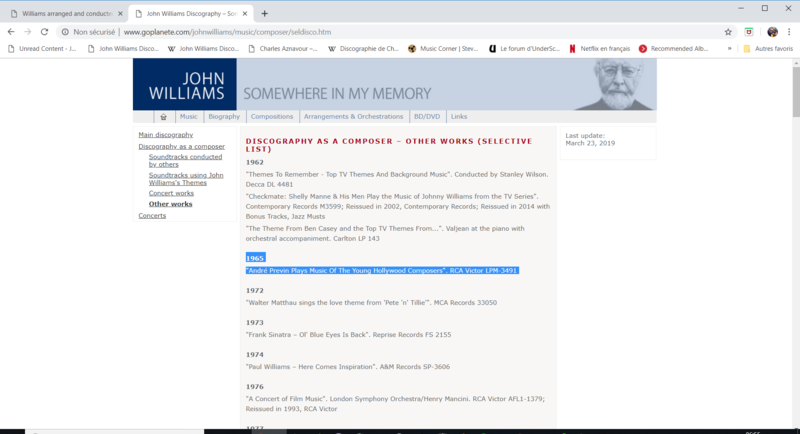 Arrangements & Musical Direction by Johnny Williams. Big Band under the direction of Johnny Williams. So where's your MUSIC FROM YOUNG HOLLYWOOD COMPOSERS, Bespin?